Organizations set Objectives as a way to measure progress towards top business goals. Now with 15Five, you can align objectives to each other to contribute towards the progress. Team members will be able to select the type of alignment they’d like to get for the Objective. Navigate to the Objectives settings page. Ensure Objective Alignment is enabled, and turn ON Objective progress alignment. It’s now possible to track that Managers are keeping on-top of their teams 1-on-1s. Navigation to the Usage Dashboard. Scroll down to 1-on-1 Tracking. When creating Best-Self Review question templates Review Admins can choose from plain text, Yes/No or opinion scale questions. Now when creating your opinion scale questions you can update the labels for each to create your own likert scale. We’ve added more flexibility to the Best-Self Review process allowing Managers to complete their own manager review questions prior to their direct reports submitting a self review. The manager review questions are opened as soon a review cycle begins, and can be submitted either once the self review has been complete or when the self review due date has passed (regardless of completion status). We know how important showing appreciation is amongst team members and wanted to open this up to others that might not be included in your 15Five account. You can now recognize and appreciate anyone with a High Five, even folks outside of your organization. 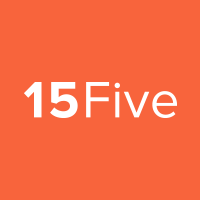 If you have optional questions configured for your team's 15Five check-ins, you can now see which questions were skipped when viewing or reviewing a 15Five.